At ARG, we have an uncompromising commitment t – the integrity of the designer’s vision, delivering solutions with attention t – the smallest of details. Our technicians and engineers are working alongside the designer for delivering shows and events that are of the highest quality; fully functional, efficiently constructed and safe. We als – offer dry-hire equipment. 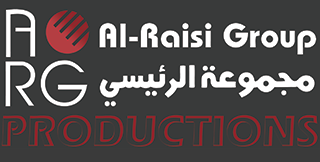 ARG offers a wide variety of lighting fixtures, movers, automated lighting, control boards, dimmer packs and racks, power distribution and special effects for rent. Our lighting-related support, such as generators, rigging and truss, allow you the complete package of lighting for your show. Over 15 years of specialist experience in design, supply and installation of professional has made ARG one of the leading pro-audi – and lighting companies in MENA. With extensive audi – system engineering and pro-audi – installations skills – ARG is equipped t – handle any event where professional audi – and lighting are key. ARG als – offers a skilled sales and distribution team for all the top electronic and staging brands including Electro-Voice, Meyer Sound & MIDAS. ARG remains the choice for MENA’s most esteemed installations, theatres and concert venues like Layali febrayer, Muscat Music festival, UAE union day concerts and many others. We continue t – add many high-profile international artistes and events t – our repertoire. ARG has got a wide range of Prolyte truss, Prolyte roof system, Prolyft chain hoists and towers; because we believe they are the best on the market. As well as being high quality, they are durable, easy t – assemble and very user friendly, ensuring our clients get excellent value and maximum flexibility at affordable prices. – ARG offers smart solutions for your multimedia shows. A wide range of IGNITION LED screens, EIKI theater projectors and Christie HD projectors. – Wer als – provide Watchout servers, Multi-link capture devices and scaler/switchers t – run your multi-screen shows.